For many, February can be a time of year where credit card debt starts to build. With the interest free period on all those Christmas purchases, holidays & school fees coming to end, your minimum repayment will start to increase. Having multiple credit cards means more debt and more stress. Here’s how to get rid of your debt and feel the stress melt away. Pay off as much as you can every month to reduce interest. Make sure you pay at least the minimum monthly repayment to avoid late payment or default fees. Your monthly statement gives you information about how long it will take to pay off the entire balance by making minimum repayments. Pay off the credit card with the highest interest rate first – In addition to making minimum payments on all cards, pay more on the card with the highest interest rate, so you pay off the total amount on that card first. Then work your way through your other cards. Pay off the card with the smallest debt first – Keep making minimum payments on all cards, and pay more on the card with the smallest debt, so you pay off the total amount on that card first. Then work on paying off the next smallest debt, and so on. 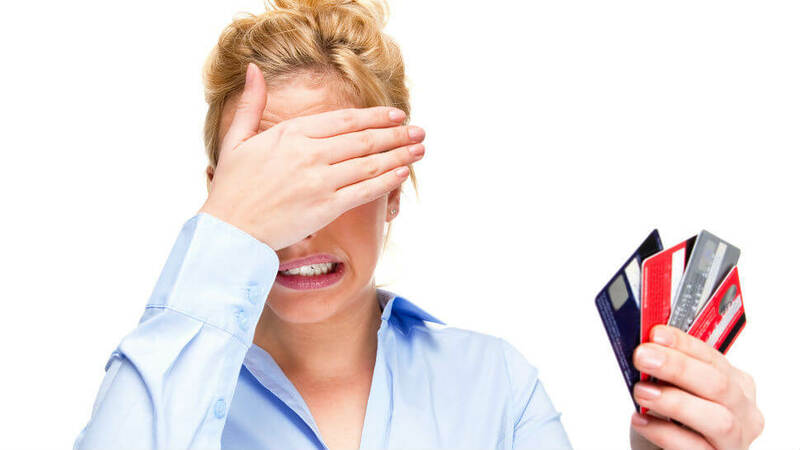 Whatever option you choose, stop using all but one of your credit cards, and try to only use it for emergencies. As you clear the debt on each card, close the account by contacting your provider. If you don’t close the account properly, you may still have to pay fees, even if you no longer use the card. From 1 January 2019, all credit card providers must give you the option of cancelling your credit card online. You may decide to keep one credit card for emergencies and online payments. If so, lower the credit limit on it to an amount that you can repay within 3 months, say $2,000. From 1 January 2019, you will be able to do this online. Another option is to move your debts across to a balance transfer credit card with a lower interest rate for a set period. To get the full benefit of a balance transfer credit card, make sure you pay off the full balance transfer amount before the balance transfer promotional period ends. On new purchases – as any purchases you make using your new card will usually attract a higher interest rate than the special balance transfer promotional rate. If you are having problems juggling your debts, it is important to act quickly to get help. If you just ignore it, you may have difficulty obtaining credit in the future if your credit report is affected. Contact your credit provider straight away – You may be able to organise an agreed repayment plan until you pay off your debt or until a temporary financial problem is resolved. Get help from a financial counsellor – Financial counsellors offer a free service and can help you sort out your debts. Simply put, debt consolidation is combining all your debts – credit cards, car loans etc. – into one single debt with a single monthly payment. When they are individual loans each of them have their own specific interest rates, conditions and balances – so rolling them all into one loan is both efficient and easy to manage.